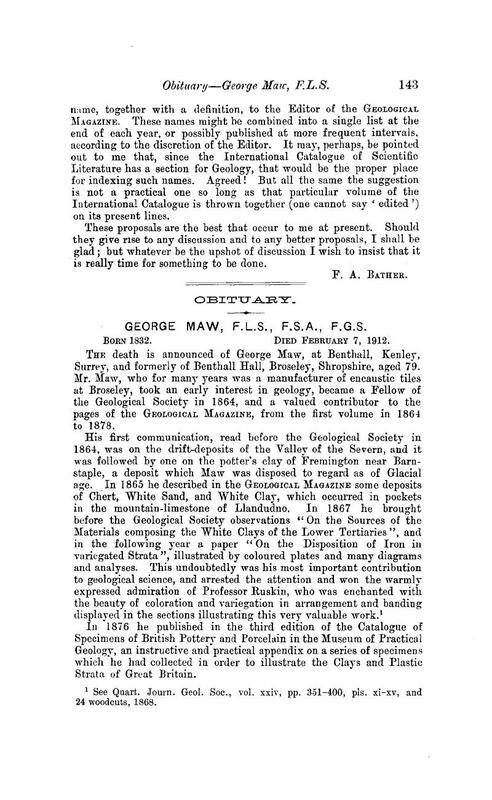 George Maw, F.L.S., F.S.A., F.G.S. 1 See Quart. Journ. Geol. Soc, vol. xxiv, pp. 351–400, pls. xi–xv, and 24 woodcuts, 1868.